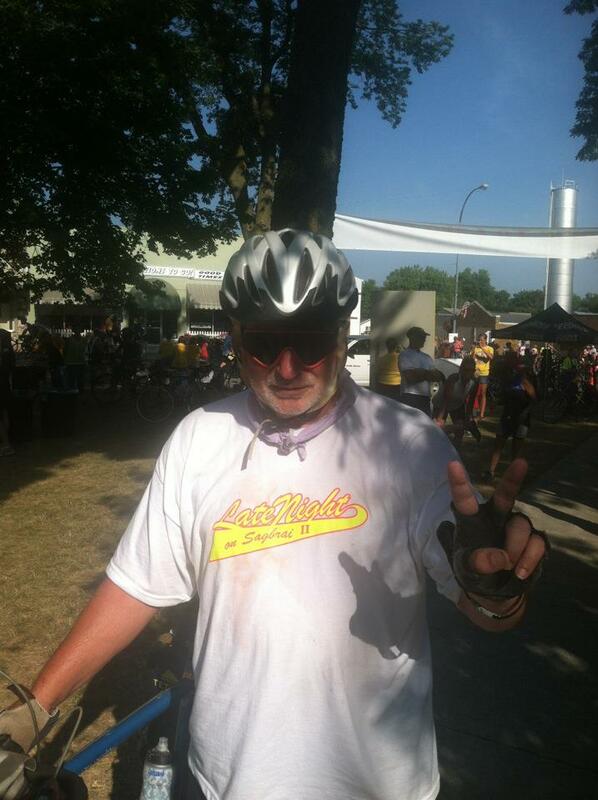 Dave Matthews of Muscatine takes a break during RAGBRAI in 2012. MCSA to El Olmito, where I met Dave Matthews and some other geographically challenged retired gym teachers for lunch. I say geographically challenged because they teased me about my hometown, Chariton, being in southwest Iowa. There is no way a town that is at least 25 miles east of Interstate 35 is in southwest Iowa. Chariton isn’t Corning no matter what Matthews says. El Olmito to First National Bank. After leaving the bank, I ran into Jim Wester on the sidewalk and said hello. The bank back to MCSA. I’m not sure how far that was to walk. Maybe 10 blocks. It’s nicer today outside — at least when you stick to walking on the sunny side of the street.